Here & There Productions is a boutique production company based in London, UK. Other than developing our own shorts and feature films, we provide post production services such as sound and picture editing and DVD and Blu Ray authoring for short and feature films, commercials, corporate and music videos. Founded by Ali Jaberansari, a graduate of London Film School, the company has produced his award winning short film and debut feature film. 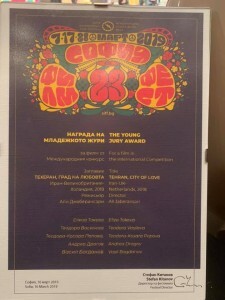 “Aman” (35mm, 27mins, 2011) was awarded the Cine+ prize at Angers Premiers Plans Film Festival and the MEO Prize at Lisbon & Estoril International Film Festival. “Falling Leaves” (HD, 85mins, 2013) premiered in Montreal World Film Festival and was awarded the Federico Fellini Award at Tiburon International Film Festival. We currently have two feature film projects in development. Read all the news below! 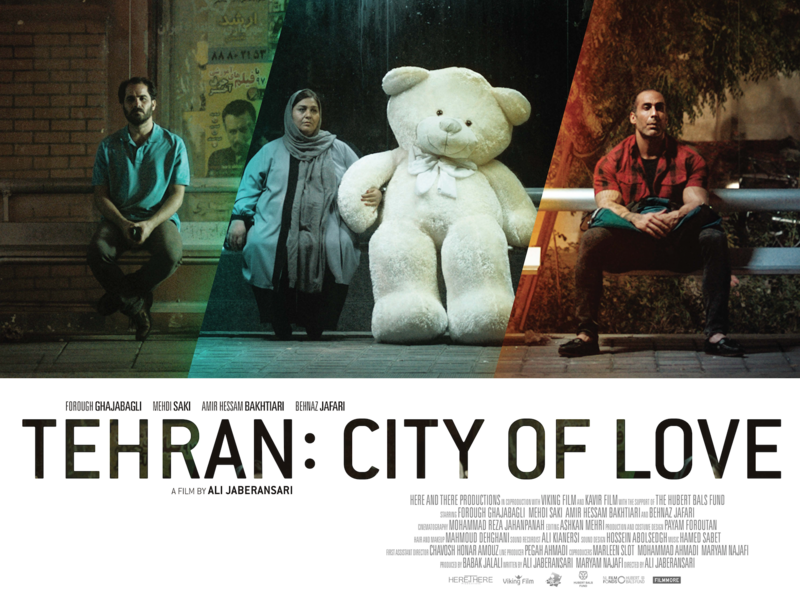 22/03/2019: “Tehran: City of Love” will be screening at San Francisco International Film Festival. Screenings are April 16,17, and 18. Click here for more info. 21/03/2019: “Tehran: City of Love” will be screening in competition at the 43rd Atlanta Film Festival. The screening is on April 12th at 7:30pm Hilan Theatre. Click here for info. 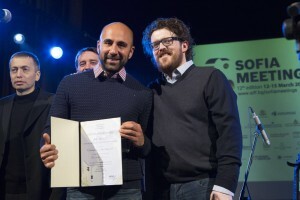 17/03/2019: ”Tehran: City of Love” screened in International Competition at Sofia International Film Festival and won the Youth Jury Prize! Congrats to the team! 30/01/2019: International Premiere at Rotterdam! 15/01/2019: “Tehran: City of Love” will have its International Premiere at Rotterdam International Film Festival on January 26th. Click here to buy tickets. 21/12/2018: We are proud to announce that Paris based sales agent “Reel Suspects” will handle “Tehran: City of Love” worldwide sales and festivals! Read about it here. 30/08/18: “Tehran: City of Love will have its World Premiere at the prestigious BFI London Film Festival in October! Click on the link for screening times and more info. 01/06/2018: Stay tuned for news on the world premiere of “Tehran: City of Love” and its festival screening in the next few months! 19/01/2018: The post-production of “Tehran: City of Love” is on the way. 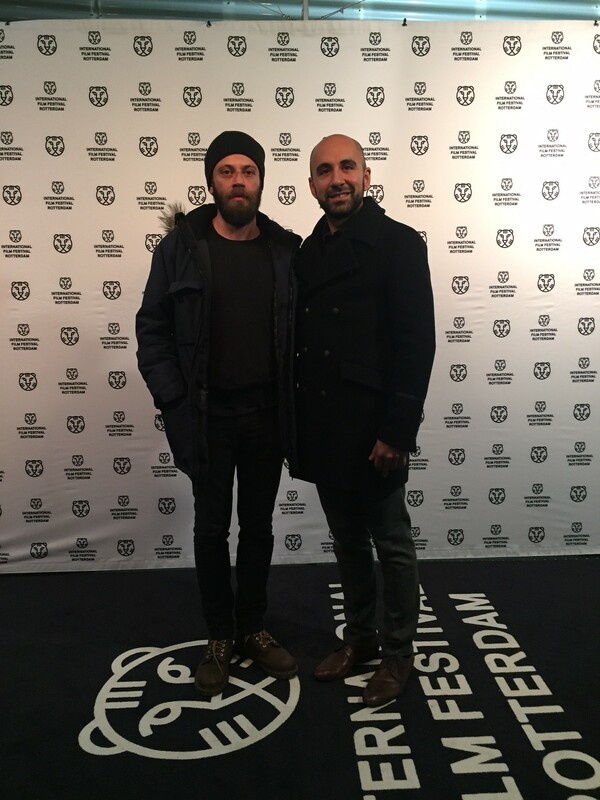 Director Ali Jaberansari and DOP Mohammad Reza Jahanpanah are in Amsterdam finishing the grading at the prestigious Filmmore Lab. 21/06/2017: The pre-production of our project “Tehran: City of Love” has now started in Tehran. Famous Iranian actress Behnaz Jafari joins the cast! 05/02/2017: Checkout the Rotterdam Film Festival’s interview with director Ali Jaberansari about his film project: Tehran: City of Love participating in Cinemart as part of the BoostNL program. You can read it here. 15/11/2016: And now ‘Tehran: City of Love’ wins the HBF+NFF production fund of €50,000 from Hubert Bals Fund and Nederlands Film Fund. Thank you to both funds and International Film Festival of Rotterdam for their continued support! Click here for more. 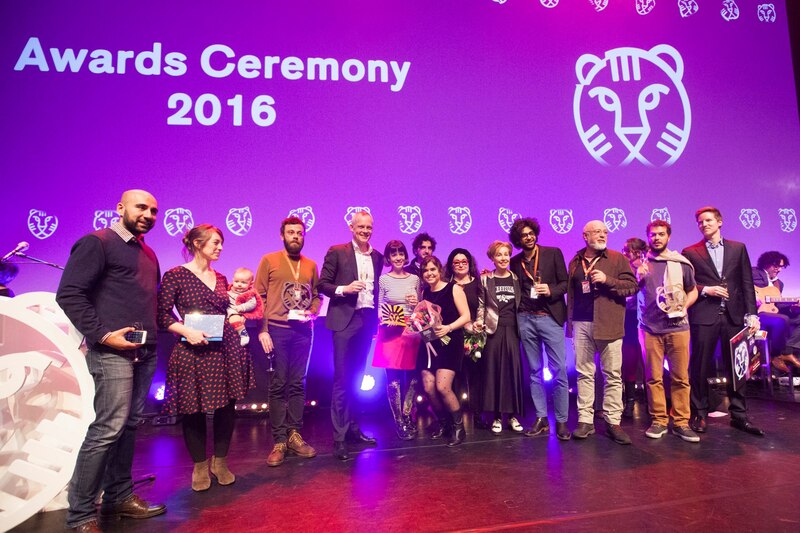 25/09/2016: Our project in development ‘Tehran: City of Love’ has won the WarnierPosta prize at the pitching sessions in Nederlands Film Festival in Utrecht! Click here for all the details. 18/08/2016: Our upcoming project ‘Tehran: City of Love’ has been selected as one of the six projects for the BoostNL program organised by Holland Film Meeting and Cinemart at the Rotterdam International Film Festival! Read about it here on Variety, Screen Daily, and the BoostNL website. 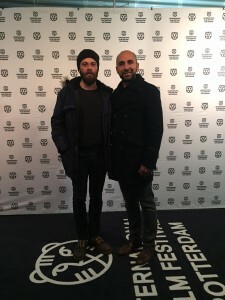 06/02/2016: Director Ali Jaberansari and Producer Babak Jalali attending the Rotterdam Film Festival meeting with European producers for the project ‘Tehran City of Love’. 05/02/2016: Fantastic news! 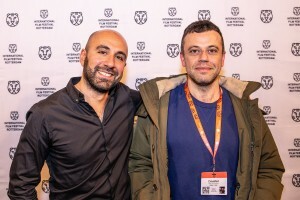 Babak Jalali’s feature film ‘Radio Dreams’ won the Tiger Awards Competition at the Rotterdam International Film Festival. Read about it here. 20/05/2015: Our project “The Ladder” has been accepted at the Mediterranean Film Institute Script 2 Film Workshop in Greece! Ali will be attending the first residential workshop for two weeks in Nyssiros, Greece later in June! 15/05/2015: Another one of our future projects “Tehran: City of Love” has been selected for the Hubert Bals Fund for Script & Development! Read about it here! 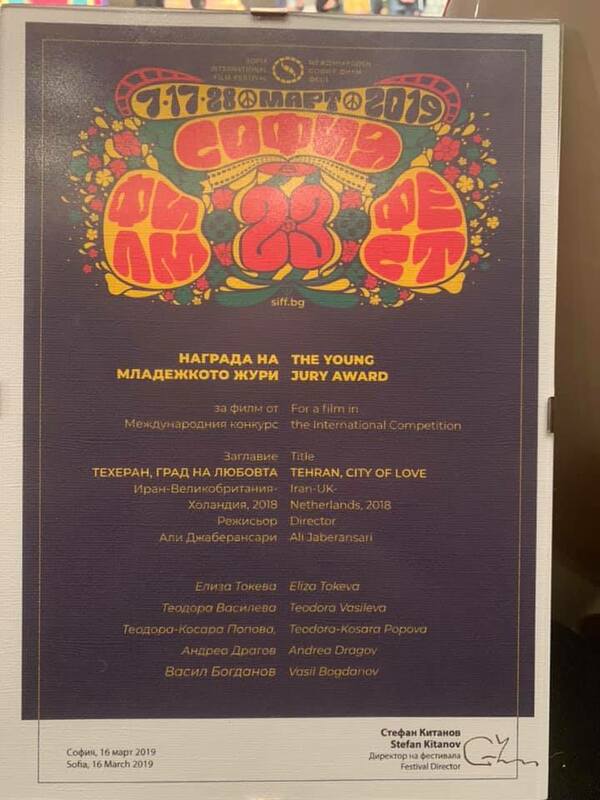 16/03/2015: Our next feature film project “The Ladder” has won the best project award for best pitch at Sofia Meetings 2015 in Sofia, Bulgaria. 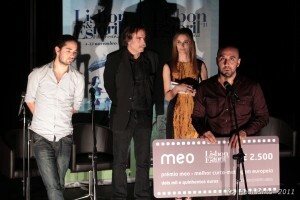 The award provides EUR10,000 in post-production services at the Hungarian FilmLab. 18/04/2014: Great news! 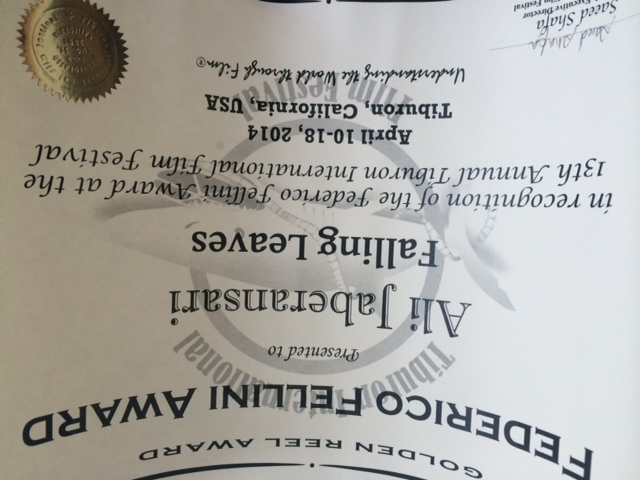 Falling Leaves wins the Federico Fellini Award for best international newcomer at the Tiburon International Film Festival! Thanks to the festival and their jury! 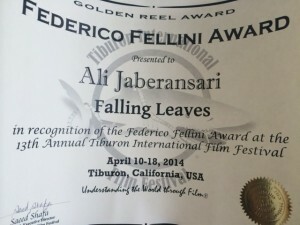 25/03/14: Falling Leaves (Barg Rizan) will be screening at the Tiburon International Film Festival in San Francisco on 11th April 2014 at 8:15pm. Please click here for details and to buy tickets. 29/01/14: Falling Leaves (Barg Rizan) will have its first preview screening in London on Monday February 24th at the London Film School. The screening is followed by Q&A with Ali Jaberansari and drinks. Click here for details of the event and to RSVP for your free seat! 18/08/13: Our feature film Falling Leaves (Barg Rizan) is having its premiere at the Montreal World Film Festival! For details on screenings etc. click here. 15/08/13: The Facebook page of our feature film Falling Leaves (Barg Rizan) is up and running. You can like the page to keep up to date with all the info. Click here. 15/02/13: Aman will be broadcasting from the French TV channel Cine+ on Sunday February 24th at 8pm local time on the show Cinecourts. 07/03/12: Aman is screening March 15th and 19th at Institut de l’Image at Aix-en-Provence, France as part of their season on Iranian cinema. It is screening before Kiarostami’s Passenger. 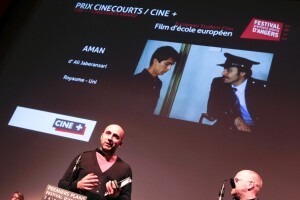 29/01/12: Aman has won the Prix Cinecourts/Cine+ at the Premiers Plans Angers Film Festival! 06/12/11: BFI’s annual poll of best films of 2011 is out and it’s published in the January edition of Sight & Sound magazine. Aman is on there, chosen by Suzy Gillett as one of her top 5 films of the year! You can see the online version by clicking here. 13/11/11: Aman wins the MEO Award for Best Short Film at Lisbon & Estoril Film Festival. You can watch the video of the Jury (Peter Handke, Peter Suschitzky, Valeria Bruni-Tedeschi, Rui Horta) announcing the winners here. 01/11/11: Aman has been selected in competition at the 18th Etiuda & Anima Festival in Krakow Poland running 18th-24th November 2011! Screening time is Nov 19th at 9pm Cinema Rotunda. 30/09/11: Aman has been selected at the 34th Starz Denver Film Festival which will be running November 3-13th. More details on program and screening will be released mid-October. I am pleased to say that Aman will be screened in its original 35mm print format in Denver! 31/08/11: Aman has been selected for the 24th Singapore International Film Festival and will be screening at 9:30pm September 23rd at Sinema, Old School in Singapore.